3 New Crochet Kits from Thunder Bay Press Perfect for Crafty Parents + Giveaway! 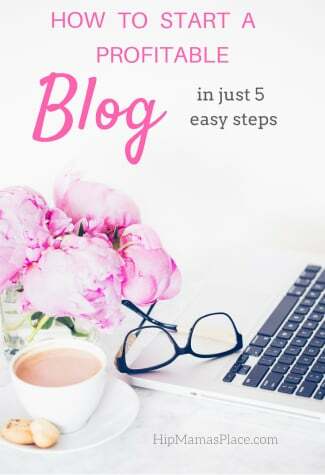 Well, there’s no better way to start the new week than an exciting review and giveaway for Thunder Bay Press to delight all you crafty Hip Mama’s Place readers out there who love to crochet! Yes! Thunder Bay has expanded its line of crochet titles, which launched in 2013 with Wizard of Oz Crochet, to three popular franchises: Peanuts Crochet, Star Wars Crochet, and Disney Classic Crochet. Whether you grew up with the original comics or fell in love with the television specials, you will love all these new kits that will provide hours of crafting fun! 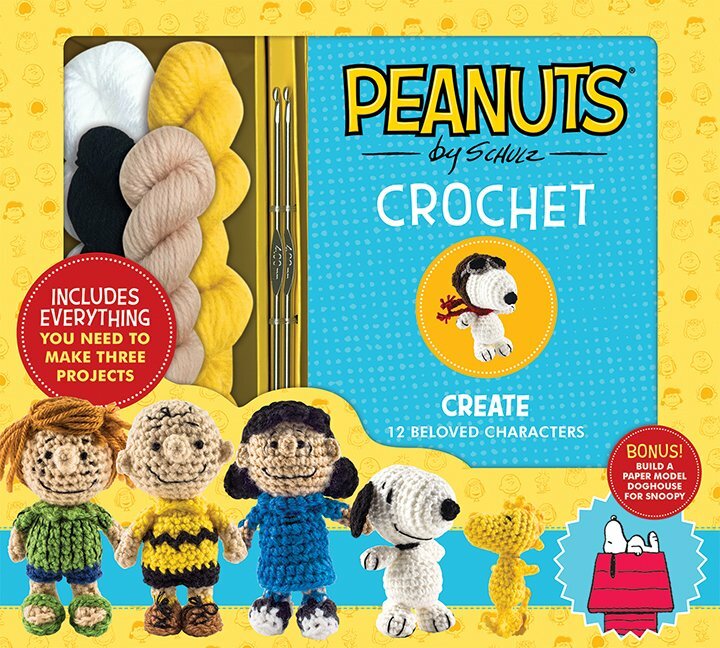 Peanuts Crochet (April 2015; ISBN: 978-1-62686-324-8; $24.95; 76 pages): This kit comes with two metal crochet hooks, a tapestry needle, and embroidery thread, as well as enough yarn and materials to create Charlie Brown, Snoopy, and Woodstock right out of the box. A full-color paperback manual provides step-by-step instructions to make nine more members of the Peanuts gang. 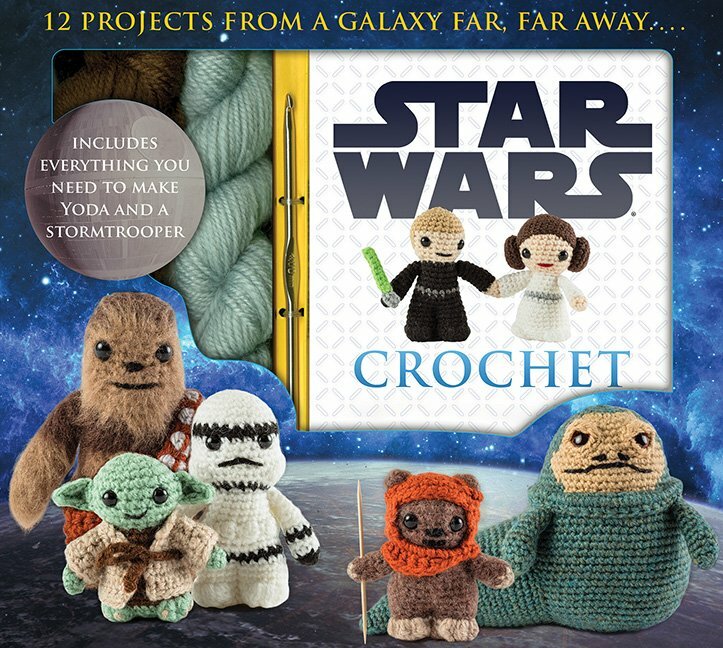 Star Wars Crochet (May 2015; ISBN: 978-1-62686-326-2; $24.95; 76 pages): In anticipation of Star Wars: Episode VII – The Force Awakens, hitting theaters this December, both lifelong fans and newcomers to the Force can recreate their favorite scenes and unforgettable moments with this kit which includes a yarn needle and safety eyes, as well as enough yarn and materials to create Yoda and a stormtrooper, while the included paperback features detailed instructions to make the rest of the iconic cast of characters. Disney Classic Crochet (April 2015; ISBN: 978-1-62686-325-5; $24.95; 92 pages): Perfect for you all crafty parents in search of a craft project to complete for your little ones! This kit brings Disney’s most enduring characters to life – Mickey, Minnie, Dumbo, Jiminy Cricket, Bambi, and even Chip and Dale. 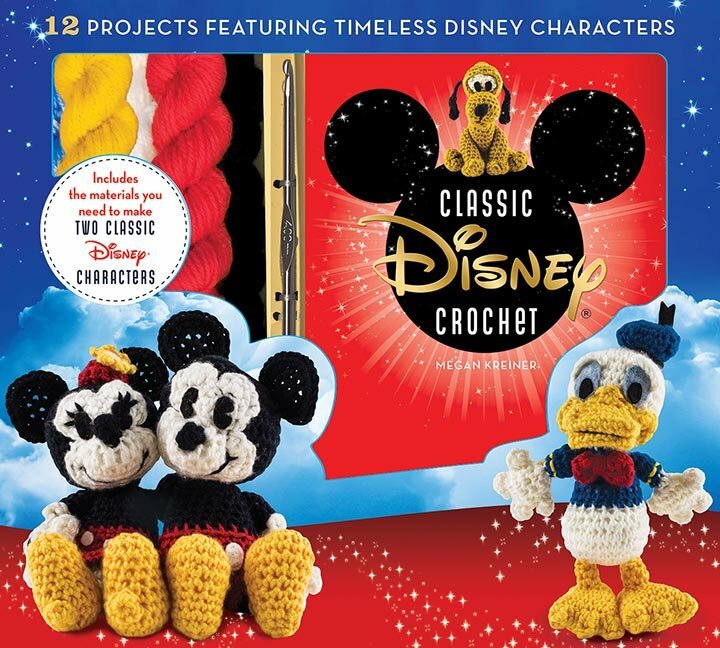 The kit includes a tapestry needle, embroidery thread, three colors of felt, and enough yarn and materials to make fan favorites Mickey Mouse and Donald Duck. Color photos and easy-to-follow instructions in the included paperback also show crafters how to make ten other time-honored characters. For more details about these fun crafting kits, visit ThunderBayBooks.com online or follow them on Twitter @ThunderBayPress or find them on Facebook at Facebook.com/ThunderBayPress. 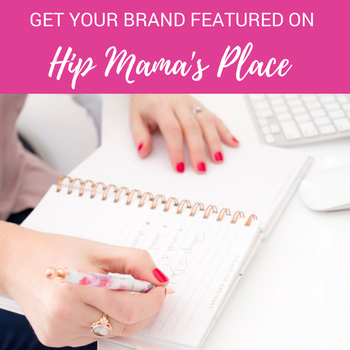 Lucky you, loyal Hip Mama’s Place readers! One of you will win all three (3) crochet crafting kits from Thunder Bay Press listed above — valued at $75.00! To enter this giveaway contest, just follow the Rafflecopter entry link below. 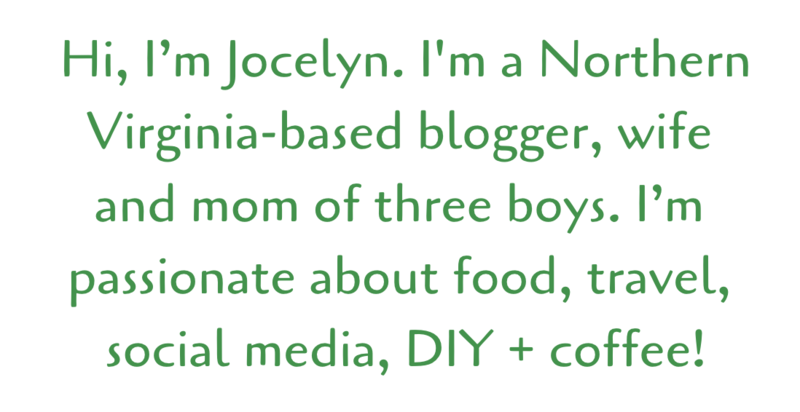 This giveaway contest is open to U.S. addresses only and ends on 09/24/15 at 11:59 PM, EST. Good luck! Personal tip: To increase your chances of winning, fulfill all the entry requirements and tweet about the giveaway at least once a day for the duration of the contest. Hip Mama’s Place Disclosure: “I received samples of the craft kits necessary to facilitate this review. Reader prize will be fulfilled by Thunder Bay Press. As always, all views and opinions are entirely my own”. These are so cute. I would make them and give them as gifts. Christmas is coming up too fast! These would be great to make as gifts or to give! These kits are super cute, especially the Mickey Mouse! 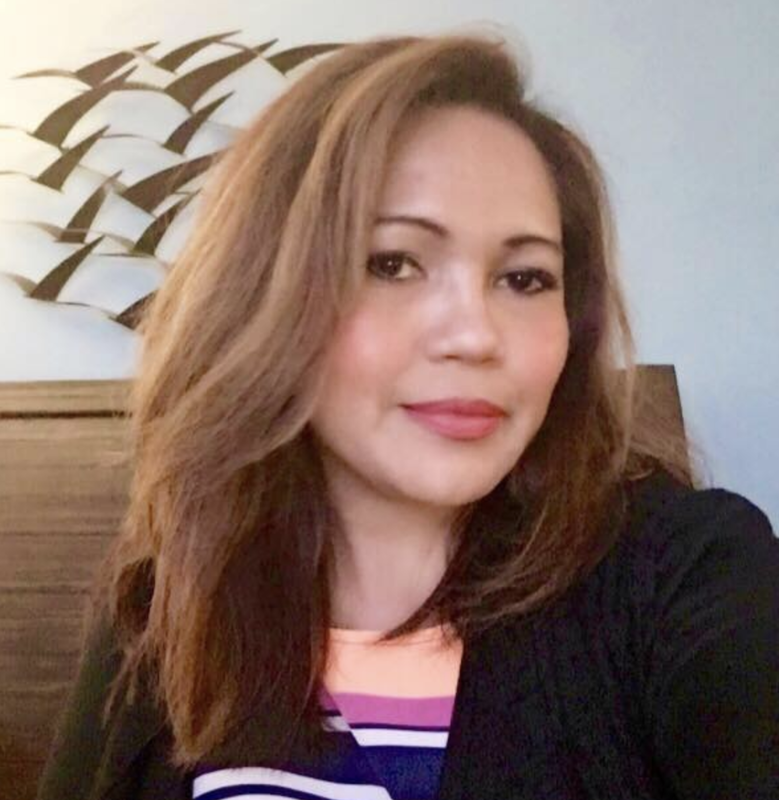 I would love to win and make it for my son. He loves Mickey Mouse so much! THese kits are so cute! I love how amazing they are. I love the characters. I am learning to crochet and my mom can crochet, so we would use them for gifts! I would make all the characters and then probably give everyone I knew one. I like these kit, because it shows more crochet techniques. I would make it for gift. I’m not sure what I’d use these for besides decor but they’re so cute! I love to crochet and these kits are quick easy and so much fun to make. My grandchildren love the items I make for them and look forward to seeing the next item I have made for them as well as requesting what they would like to have next. I’d like to make the star wars characters for my son. It would be so neat to learn how to make them. Can pass on to the kids and grandchildren to play with! What a fun and unique gift to make for someone. I’m not good crocheting but I want to learn and this would be a challenge. I want to do it for my grandkids and show them even though you are not good at something don’t let it stop you from trying. I would love these kits to create the projects for my grandchildren. I’d make the kits for my niece and nephews. Seems like a fun activity to do now that it’s starting to get cool and dark early. I like crafting kits because you know that you’ll have all the right supplies to make them. No running out to get a much needed thing that you forgot about. I would like them all for my daughters but my favorite is the snoopy one. My daughter loves Mickey, I love Star Wars, and my nephew loves Snoopy so this would be so great!!!! Thanks for the chance! I love these crochet kits. They will get more people interested because they are such cute patterns. I love the Star wars patterns. These craft kits are a great gift. I would love to give this to my sister who loves to crochet cute things for her grandkids. My brother is a Star Wars fanatic and he needs these! I will crochet them for him! I love the mickey mouse one and would make it for a gift. The Thunder Bay Press Craft kits are great because they help you create a perfect homemade gift. I would use the Star Wars kit for my nephew since he loves anything Star Wars, it would make a great Christmas gift for him. I would use the Peanuts kit as a gift for my sister as she is beginning to Crochet and love the Peanut characters and the Disney kit I would make the characters for a co -workers baby shower as that is her nursery’s theme. I think these kits are great, because they can help you learn how to make the toy and it can be something your kids can and will have a play with. I love to crochet but I have never tried to make dolls so I would love to win these so I could make them for my nieces, Thanks for the chance to win! I would definitely make them for the grandchildren! They are just adorable! Brings back memories of my own childhood! These kits look like a fun challenge for crocheters. The finished projects would make great gifts, too. I would gift them to my daughter. She is a beginner at crochet but I’m sure she would get good enough to make these. They are so cute! Great nursery decorations.